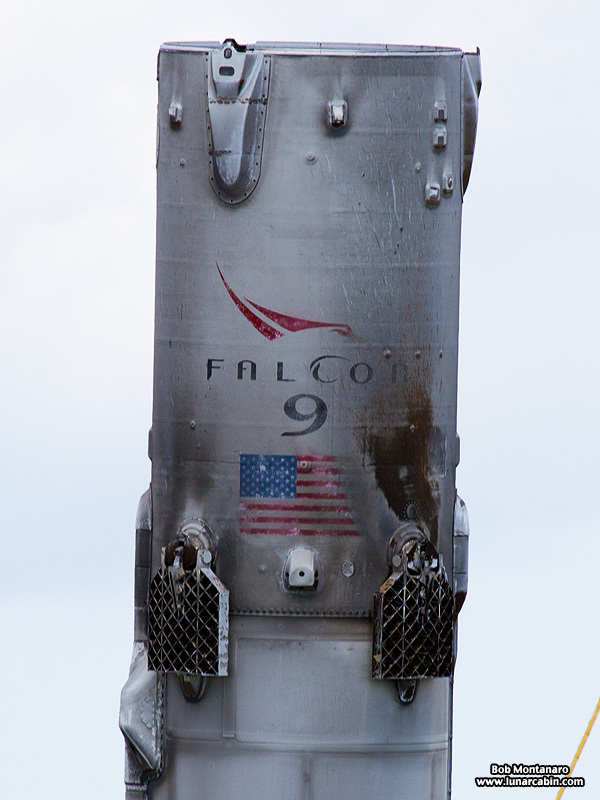 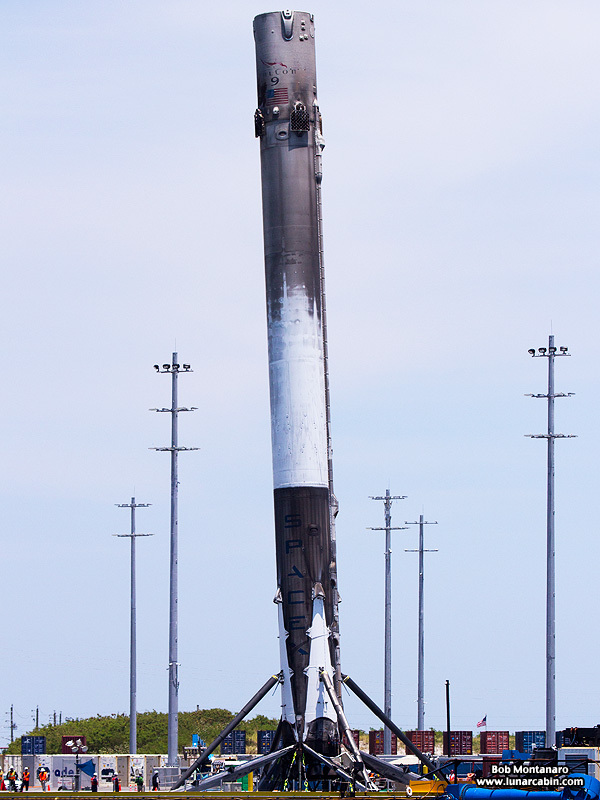 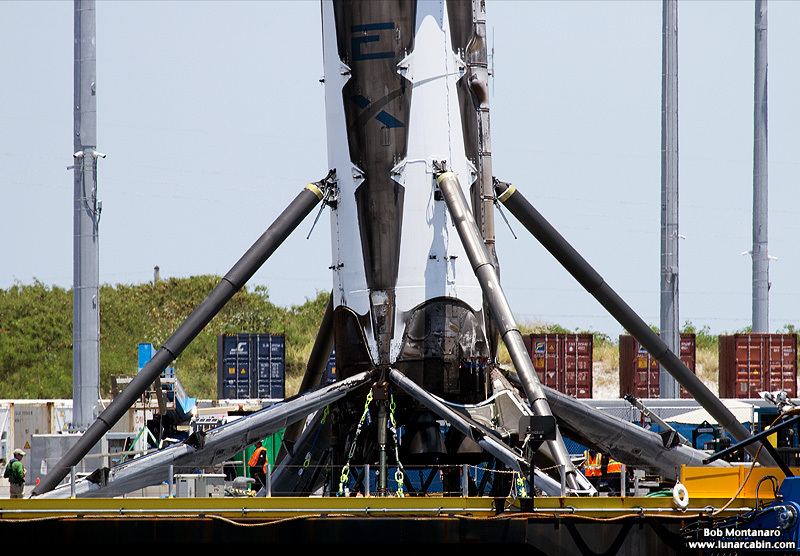 The top of the Falcon 9 first stage shows some disfigurement from the stresses of the launch and landing. 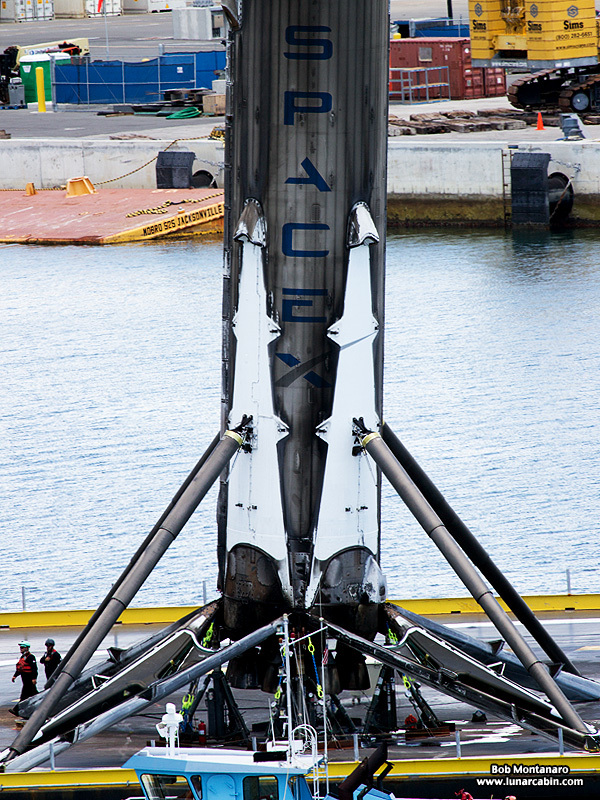 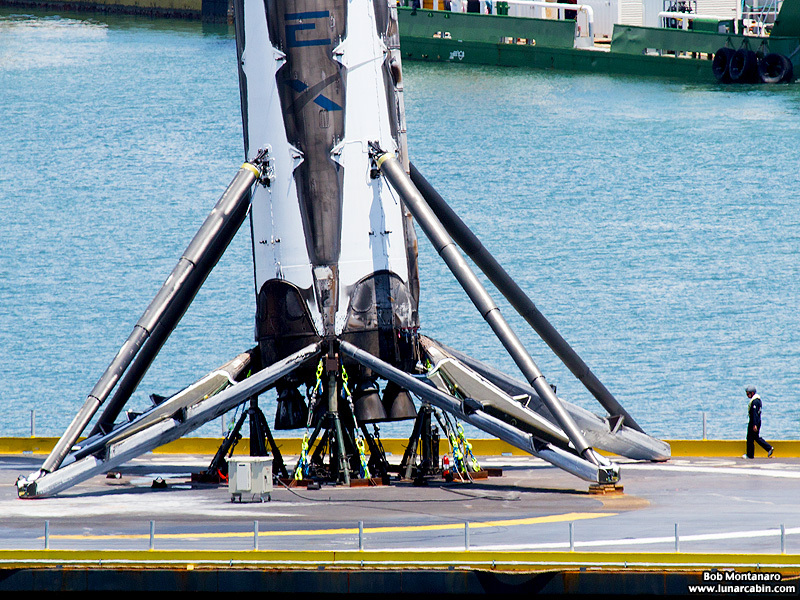 Note the grid fins used for steering the rocket during the landing phase. 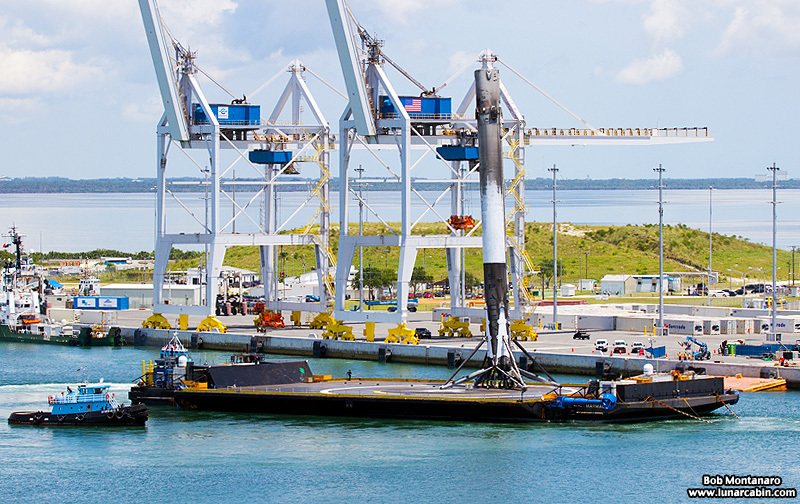 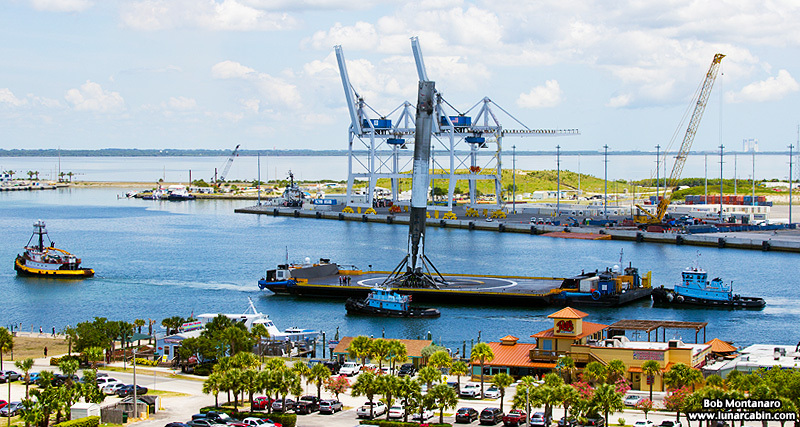 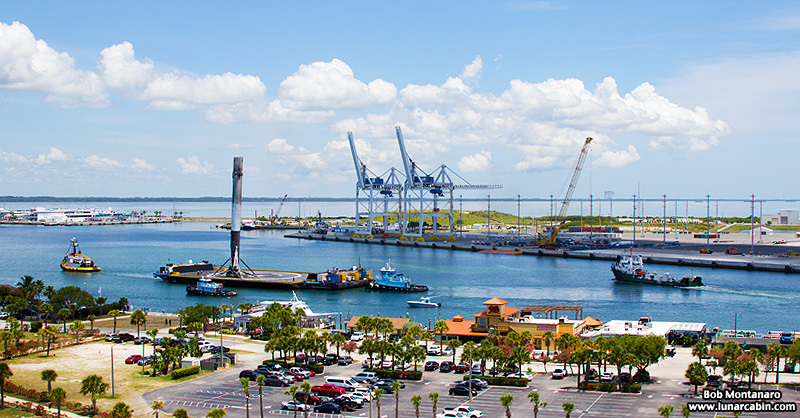 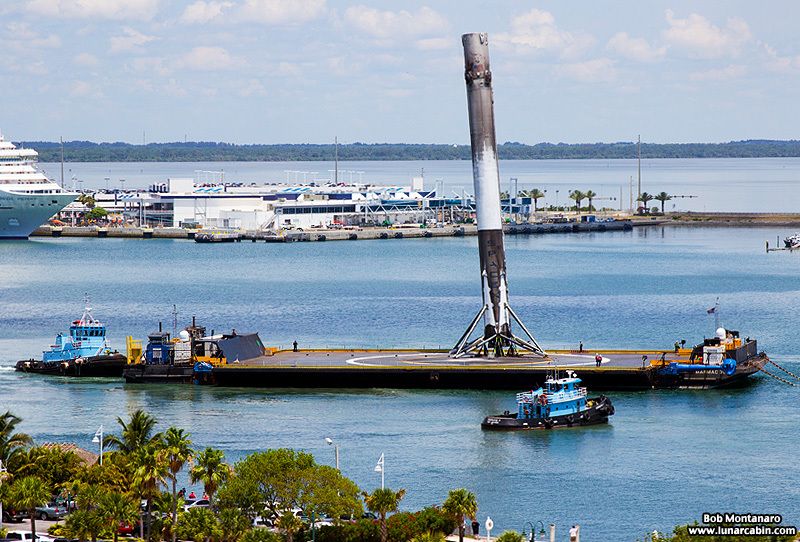 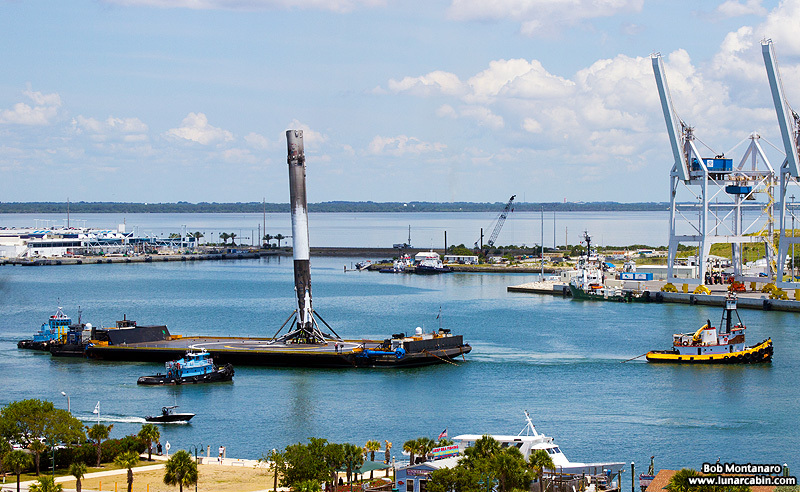 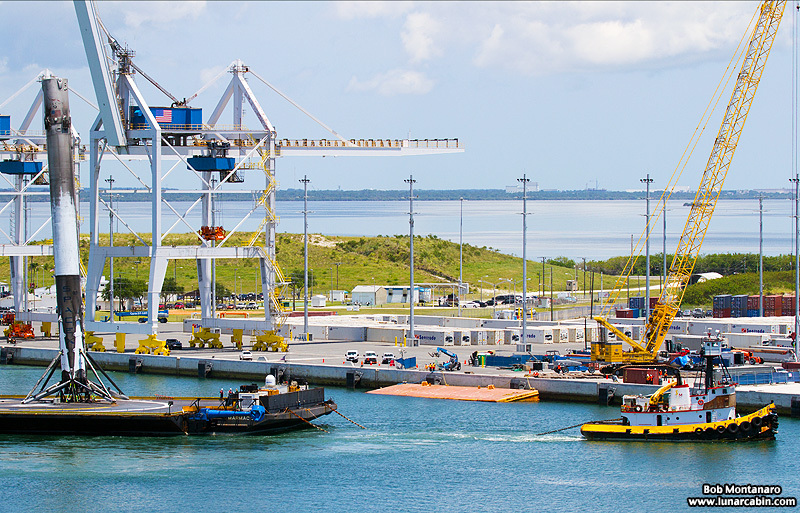 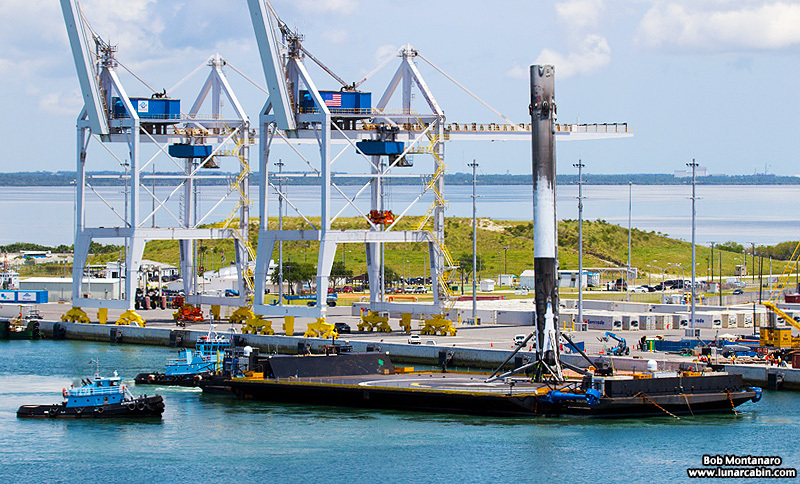 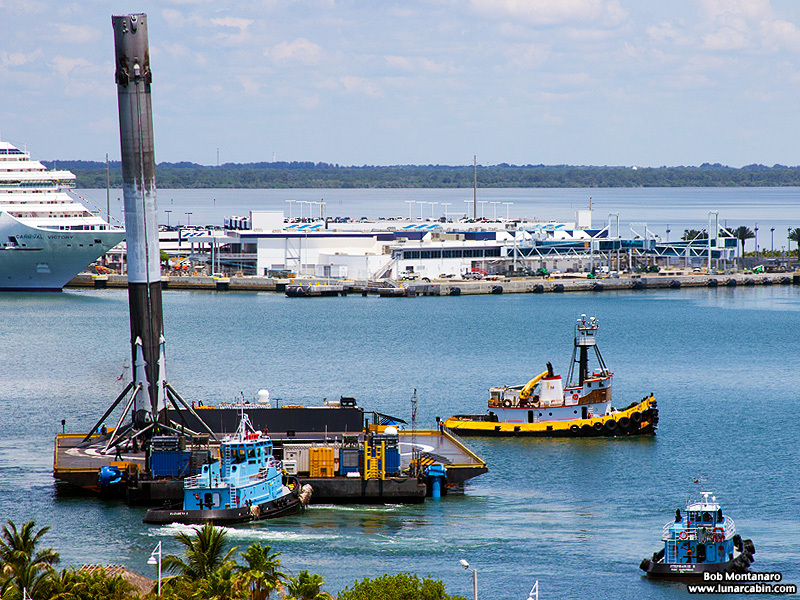 The barge passes the SpaceX dock. 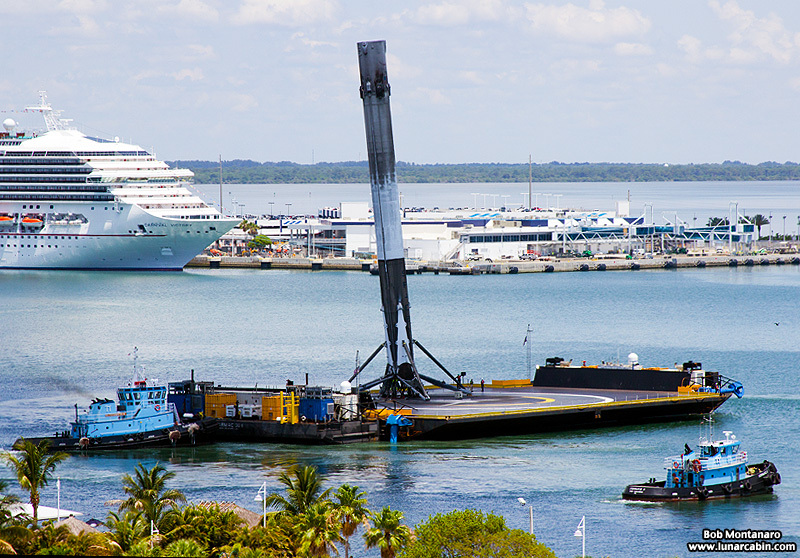 The barge being turned around before docking. 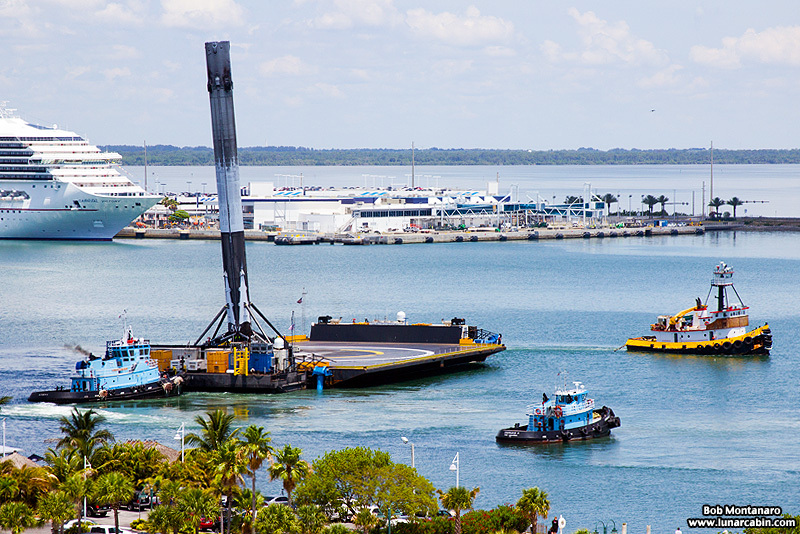 The barge heading for the dock after being turned around. 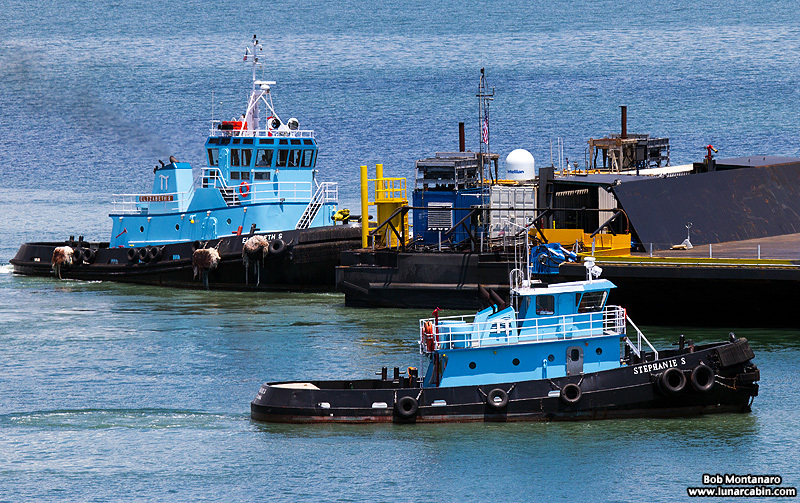 The hardworking tugboats Elizabeth S and Stephanie S.
Easily visible here is the cluster of nine Merlin engines at the base of the first stage. 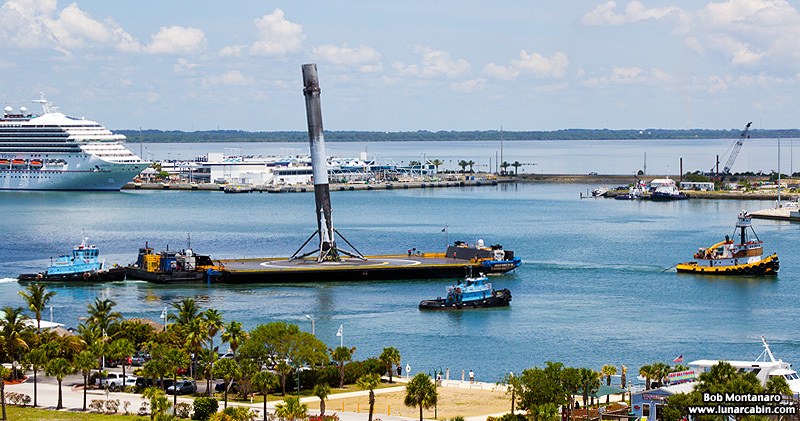 Elsbeth's job is almost done for this mission. 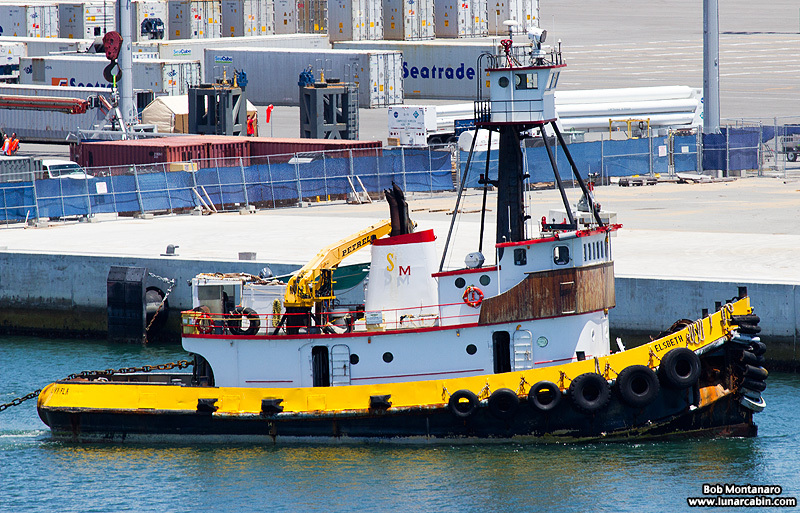 The tugs slowly push the barge against the dock. 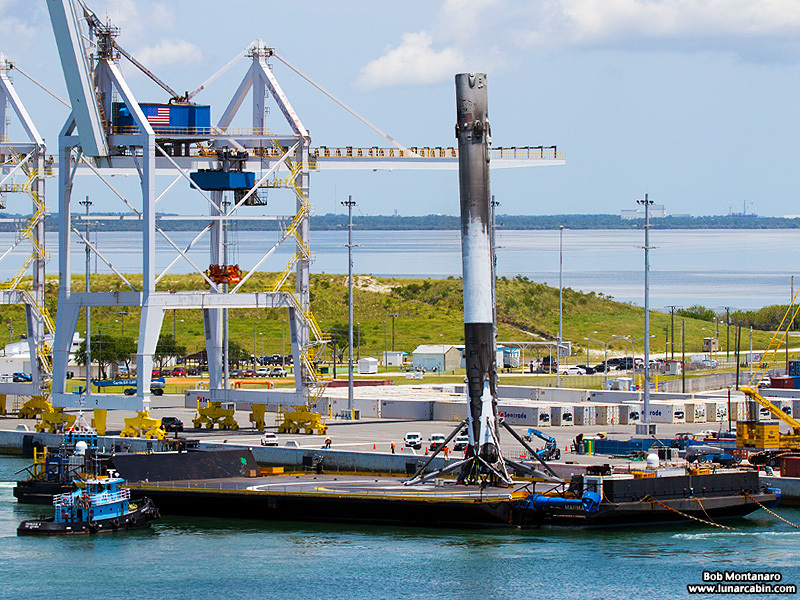 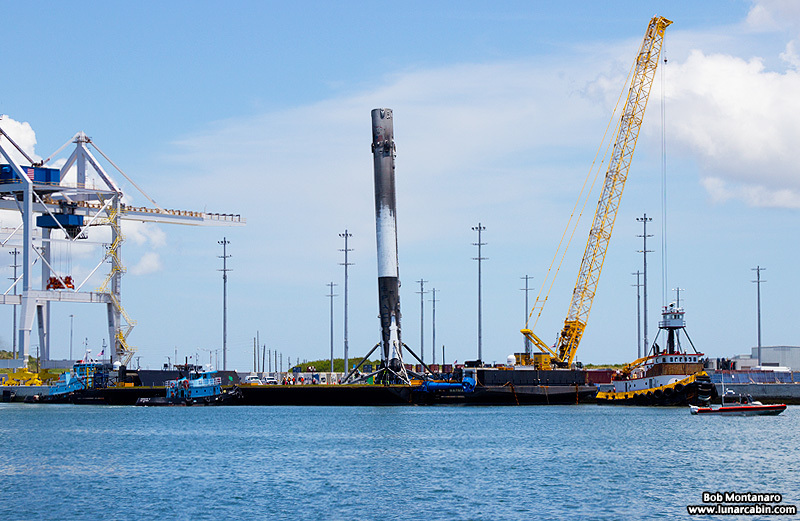 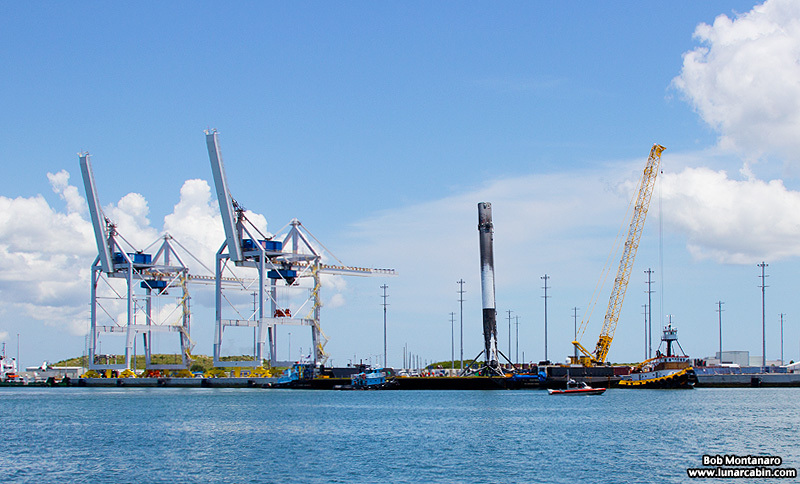 With the barge now dockside the offloading of the rocket can commence.